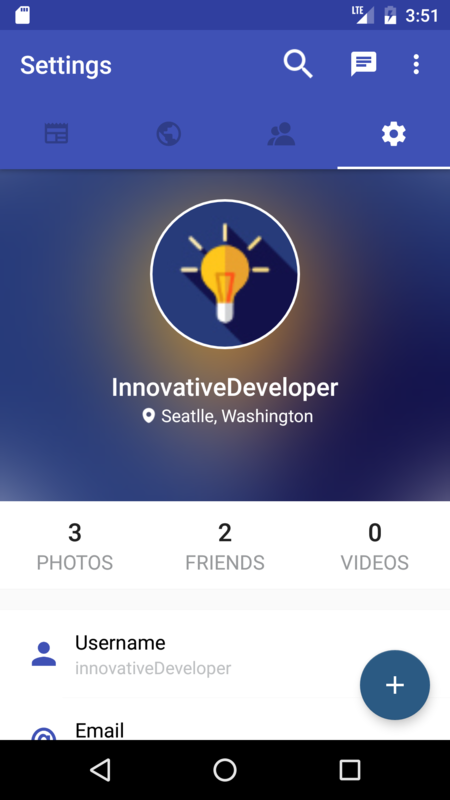 SocialApp is a social networking app which makes it easy to build a own social networking app in just a few minutes. It comes with lots of features which includes but not limited to photo sharing, video sharing, status update, followers and friends system, organized notification system, block system, material design and animations. It has lots of more features which are written below. It runs through a web server which is based on PHP and connected with MySQL database. It also supports instant messaging and emoticons. You can share post with your friends, followers or via personal message. The code is flexible and easy to modify (with full documentation available with the product). It is developed in android studio, but can also be easily setup in other IDEs. Organized feed and followers system. Fast image, video uploading with cancellation. Add/delete likes, comments, shares, post. Banner-ads and native feed ads. News Feed: News feed shows all the recent posts of your friends and followers (according to their audience settings). It includes photos, videos an status updates of each users with timely order. Notification system: Notifications are organized and added from server-side. 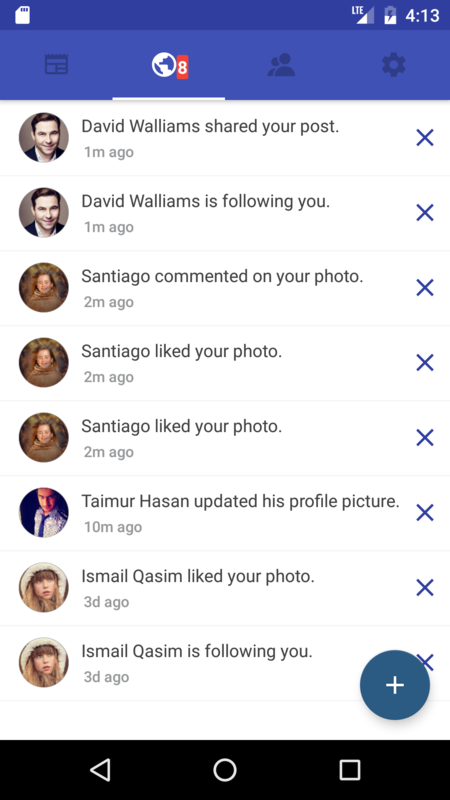 Notification might pop up when a user (follows you, adds you as a friend, likes, comments, shares your post), when a followers adds a new post, updates its profile picture. More details regarding notification system is given below. Friends and followers system: A friend can view all user photos, videos and status updates. Friends and followers both can send private messages. When you follow someone, you would receive their status updates like (post added, profile changed, shared post). 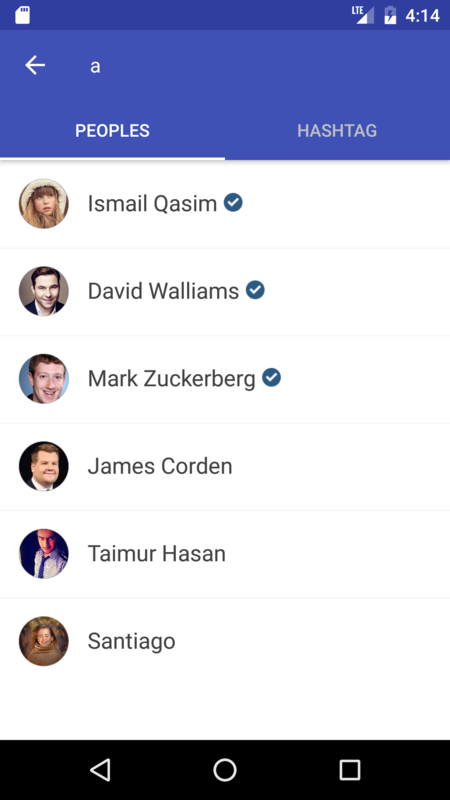 Post Following System: Facebook-like post following system is also included in this app. Whenever you comment on a post, you automatically start following that post so whenever a new person or the poster comments back, you’d get notified through notification system. Photo sharing: You can share your photos with specific audience (public, friends and followers, friends only). Photos are saved on server database according to user ids. Video sharing: This feature was especially requested by some customers so here it is now. 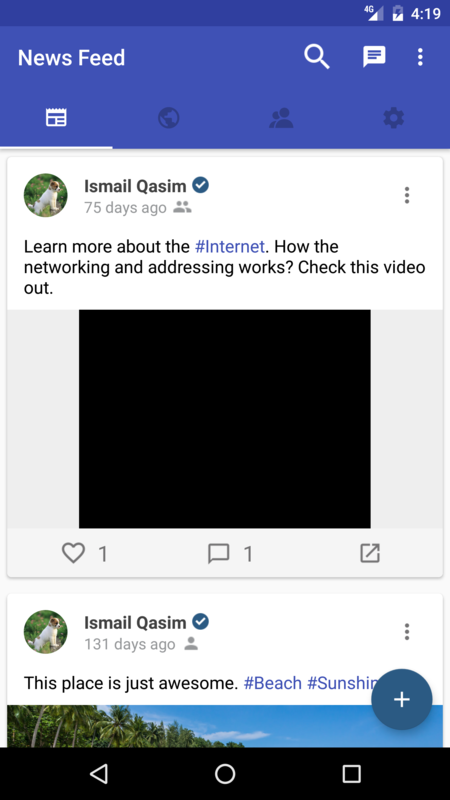 You can now share videos with specific audience as you like. 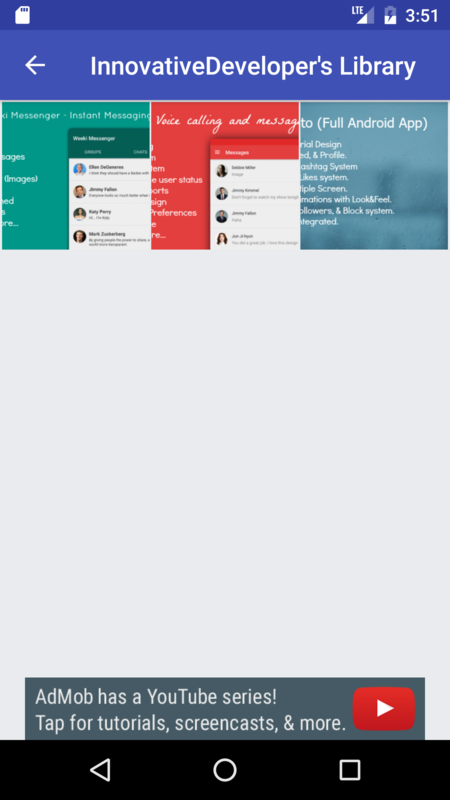 Audience System: Audience system adds a layer of privacy in your account. 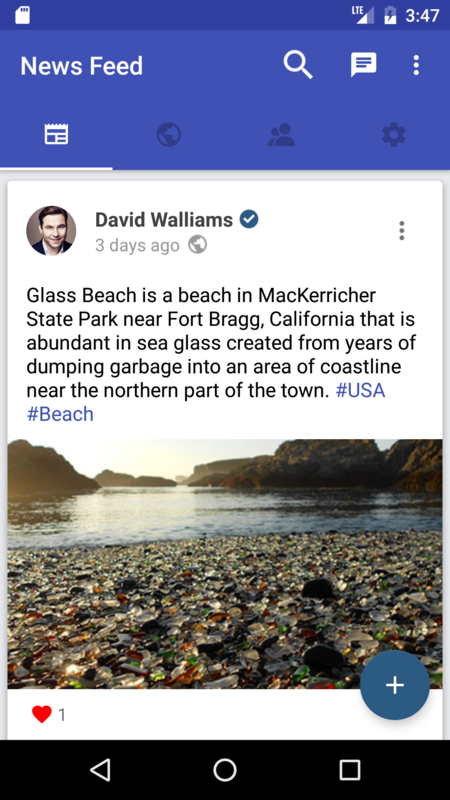 You can set specific audience on your post so that only users from that audience would be able to see your post. It includes public, friends and followers, friends only. Messaging system: You can send and receive messages from any user. Messaging system works via RestAPI. Block system: You can block certain users from accessing your profile. Blocked users aren’t able to view profile, send messages and view posts, videos, photos. Web server with fast internet speed and disk space for images and videos.